Vegans eat no animal or animal-derived products at all, so as well as choosing not to eat meat or fish, they will not eat milk, eggs or honey, and do not wear fur, silk, wool or leather. Though their diet is restricted, it is possible to eat a perfectly healthy and balanced diet as a vegan – in fact, some scientific studies have shown lower rates of obesity, diabetes cancer and heart disease in vegans. Some vitamins are harder to find for vegans, so it is important to pay close attention to these in order to stay as healthy as possible. Vegans should also make sure that they eat a healthy and balanced diet with proteins and carbohydrates, as well as some healthy fats, including omega three fatty acids. 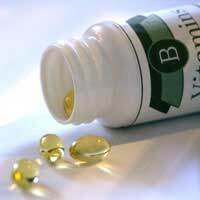 The human body uses vitamin B12 (cobalamin) to keep nerves and red blood cells healthy, and it is also used to build DNA. The vast majority of dietary sources of vitamin B12 are from animals, including meat, fish and shellfish, milk and eggs, which can cause problems for vegans. Non-animal sourced dietary vitamin B12 can be found in a few natural sources, and it is added to fortified foods too. Non-animal sourced natural sources are rare, but include brewers’ and other yeasts, and yeast extract (Marmite). Yeast extract is good on toast, and can also be used in soups and stews to add a savoury taste. Vitamin B12 is also found in seaweed, especially kelp, and some fermented soya products, such as tempeh, but these sources aren’t always reliable. Some soya and other non-dairy milks are fortified with vitamin B12, as well as some breakfast cereals, fruit juices, soya mince (and other meat substitutes) and margarines. It should also be in vegan-friendly multivitamins. The human body uses vitamin D to help with the absorption of calcium for healthy teeth and bones. The vast majority of dietary sources of vitamin D are from animals, including oily fish, eggs and liver, which can cause problems for vegans. Non-animal sourced dietary vitamin D can be found in a few natural sources, and it is added to fortified foods too. Non-animal sourced natural sources of vitamin D are rare but include some wild mushrooms. Before picking wild mushrooms, do careful research, as some innocuous-looking ones can be very toxic. Some soya milks and other non-dairy milks are fortified with vitamin D, as well as some breakfast cereals, margarines and bread. It should also be in vegan-friendly multivitamins. Vitamin D is the only vitamin that is made in the human body, in the skin (see Can Our Bodies Make Our Own Vitamins?). The Mayo Clinic in the USA says that about 15 minutes of sunlight a couple of times a week will provide enough vitamin D, but this can be difficult during the winter. In a vegan diet, it can be difficult to get all the necessary minerals as well, though this is still possible. The minerals to be especially careful of include iron, zinc and calcium. Do Our Vitamin Requirements Change as We Age?